 Buffalo State College's vision is to be a nationally recognized leader in higher education, and provide opportunities for our personnel to grow with Buffalo State. The theory of change associated with this vision rests on the assumption that institutional effectiveness can best be achieved by building leadership capacity at all levels of the organization and holding everyone accountable for results. Leadership development also reflects the mission and core values of the College. "Buffalo State College is committed to the intellectual, personal and professional growth of its students, faculty and staff." Two core institutional values include providing quality learning experiences and opportunities for individuals to realize their full potential. The Professional Development Office brings together staff and faculty with mutual interests and encourages sharing successful ideas, setting priorities and taking the lead. Buffalo State's strategic goals include a commitment to "empower leadership at all levels, promote representative and inclusive governance, and provide superior services to the campus community." To this end, the College has developed programs for managers, faculty, staff and students.